EPA took several actions regarding the RFS program announcing three pathways to meet the cellulosic mandate and finalizing a RINS Quality Assurance Program…..DOE began to accept applications for $4 billion in renewable energy and energy efficiency loan guarantees – the first time in four years the program has accepted applications…….FERC filed a request for rehearing of a D.C. Circuit decision that threw a wrench into its authority to regulate demand response…..Senator Heitkamp (D-ND) and 27 others introduced legislation establishing a panel to review emergency response for hazmat rail incidents due to vastly more activity transporting oil and other energy related products by rail. EPA Opens Up New Pathways for Meeting Cellulosic Mandate Under RFS. EPA has issued a final rule approving three new “pathways” for producing cellulosic biofuels that can be used to meet production obligations under the Renewable Fuel Standard (RFS). These pathways would allow producers to count as cellulosic biofuel three types of fuels that are produced from biogas from landfills or municipal wastewater treatment facilities: compressed natural gas, liquefied natural gas, and electricity used to power electric vehicles. As required by the Clean Air Act, EPA has determined that these new pathways will reduce lifecycle greenhouse gas (GHG) emissions compared to petroleum-based gasoline and diesel fuel. The final rule also includes EPA guidance on the use of certain crop residues to produce cellulosic biofuel and technical corrections to the RFS and mobile source emission programs. In a departure from the June 14, 2013 proposed rule, EPA is not finalizing additional pathways for advanced butanol and for the production of certain fuels—renewable diesel, naphtha and renewable gasoline—from biogas. A pre-publication version of EPA’s final rule is available at http://epa.gov/otaq/fuels/renewablefuels/documents/rfs-path-II-fr-07-02-14.pdf. EPA Finalizes RFS Quality Assurance Program. On July 2, EPA finalized a rule providing petroleum refiners an option to have certain renewable identification numbers (RINs) they purchase to meet RFS obligations audited. Refiners that choose to adopt voluntary audits would qualify for an affirmative defense should EPA later determine that those RINs were fraudulent. EPA has provided refiners with two audit options: a stringent verification program that places the burden to replace invalid RINs on the auditor, and a less stringent program that places the burden to replace invalid RINs on the purchasing refiner. Only the second option will be available beginning in 2015. A pre-publication version of EPA’s final rule is available at http://epa.gov/otaq/fuels/renewablefuels/documents/qap-fr-07-02-14.pdf. EPA Proposes Update to 1996 Emissions Rule for Landfills. 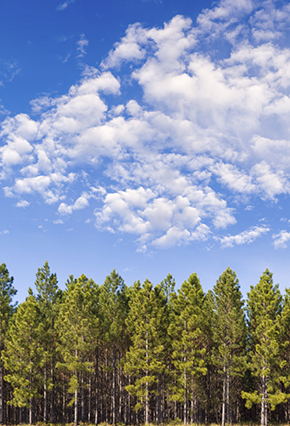 On June 30, EPA issued a proposed rule to update its emission standards for air pollutants from new and modified municipal solid waste landfills. The agency first promulgated landfill emissions regulations in 1996, but has never updated those regulations, despite a Clean Air Act requirement to review such “New Source Performance Standards” every eight years. The rule regulates both methane and non-methane emissions, including volatile organic compound emissions. The proposed regulation would require that new and modified landfills with a capacity of 2.5 million metric tons or larger capture two-thirds of their emitted methane and toxic air pollutants by 2023. Regulated landfills would be expected to reduce emissions by at least 13 percent more than under the 1996 rule. Under the new rule, EPA expects methane emissions reductions of 307,600 metric tons of CO2-equivalent per year. A pre-publication version of the proposed rule is available at http://www.epa.gov/ttn/atw/landfill/landfill_nsps_proposal_30jun14_(2).pdf. Also on July 1, EPA released an advanced notice of proposed rulemaking (ANPR) related to emissions from existing landfills. The ANPR is available at http://www.epa.gov/ttn/atw/landfill/landfills_emission_guidelines_anprm_30jun14_(3).pdf. DOE to Accept Applications for $4 Billion in Loan Guarantees for Renewable Energy and Energy Efficiency. On July 3, the Department of Energy announced that it would begin accepting applications for approximately $4 billion in loan guarantees for innovative renewable energy and energy efficiency projects located in the U.S. that avoid, reduce, or sequester greenhouse gases. In particular, DOE has noted five key “areas of interest” for projects, including those dealing with advanced grid integration and storage, drop-in biofuels, waste-to-energy, enhancement of existing facilities, and efficiency improvements. This is the first time that DOE’s Loan Program Office is accepting new applications for renewable energy projects in nearly four years. The agency expects to begin offering conditional commitments in 2015. DOE’s solicitation is available online, here. President Nominates New Deputy Energy Secretary. On July 8, the White House announced that it is nominating Elizabeth Sherwood-Randall to become Deputy Energy Secretary, taking the place of Dan Poneman who recently announced he is stepping down to go to Harvard University. Sherwood-Randall currently is a special assistant to the President coordinating defense policy. U.S. and China Announce Partnerships on Carbon Capture and Smart Grid Technology. On July 9, as part of the U.S.-China Strategic and Economic Dialogue in Beijing, U.S. Secretary of State John Kerry and Treasury Secretary Jack Lew and their Chinese counterparts, State Councilor Yang Jiechi and Vice Premier Wang Yang, announced the signing of eight partnership agreements to develop new technologies to decrease carbon pollution. The cooperative initiatives include four demonstration projects related to carbon capture, use, or storage, and four related to smart grid technologies. The statesmen from the two countries further announced a shared commitment to strengthen fuel economy and greenhouse gas emission standards for light and heavy-duty vehicles as well as a new bilateral initiative on climate change and forests. EPA Asks D.C. Circuit to Lift Stay on CSAPR, Shift Compliance Deadlines by Three Years. On June 26, EPA filed a motion with the U.S. Court of Appeals for the District of Columbia Circuit (D.C. Circuit), asking the court to lift the stay on the Cross-State Air Pollution Rule (CSAPR), which was originally imposed in 2011, and to “toll” the CSAPR compliance deadlines by 3 years. EPA v. EME Homer City Generation LP, No. 11-1302. EPA’s motion comes in light of the U.S. Supreme Court’s April 29 ruling, which rejected the D.C. Circuit’s vacatur of CSAPR and approved EPA’s approach to implementing the Clean Air Act’s interstate transport provisions. EPA argues that it will not be difficult for states to comply with the rule even while litigation on remaining issues continues. Under EPA’s approach, the CSAPR Phase 1 emission budgets would apply in 2015 and 2016 (instead of 2012 and 2013), and the Phase 2 budgets would apply in 2017 and beyond (instead of 2014 and beyond). EPA argues that current emissions data shows that states are already in compliance with their Phase 1 budgets. EPA notes that some states would need to implement additional steps to meet their Phase 2 budgets starting in 2017, however, EPA asserts that “that vast majority of reductions needed by 2017 can be achieved by resuming operation of idled [emission] controls or through actions that have already been announced.” It is likely that some industry and state parties that still have legal challenges, will oppose lifting the stay, arguing that they are likely to win and will be “irreparably harmed” by having to comply while they litigate. EPA also filed a separate motion to govern future proceedings, which includes a proposed briefing schedule. That motion can be viewed here: https://ecf.cadc.uscourts.gov/cmecf/servlet/TransportRoom. FERC Seeks Rehearing En Banc of Decision Rejecting its Authority over Demand Response. On July 7, FERC filed a motion with the D.C. Circuit asking the court to rehear en banc (i.e., with a panel consisting of all its judges) a May 23 decision holding that FERC exceeded its authority under the Federal Power Act when it adopted pricing regulations for demand response services in organized markets. For information on the May 23 decision, see our Alert here: http://www.vnf.com/2909. U.S. Supreme Court Will Not Hear Case on California Low-Carbon Fuel Rules. On June 30, the U.S. Supreme Court turned down petitions to determine the constitutionality of California State’s low-carbon fuel standard (LCFS), leaving in place the U.S. Court of Appeals for the Ninth Circuit’s (Ninth Circuit) determination that the LCFS does not violate the U.S. Constitution’s Dormant Commerce Clause. Rocky Mountain Farmers Union v. Corey, No. 13-1169. The LCFS program requires California fuel providers to reduce the “carbon intensity” of fuel sold in the state, and rates various fuels based on their “life-cycle” GHG emissions. Out-of-state ethanol producers challenged the program after its enactment, arguing that the regulations discriminate against interstate commerce by assigning their fuel a higher carbon-intensity value than in-state fuel on account of the higher emissions associated with the production and importation of out-of-state ethanol. Out-of-state crude oil producers also sued the state for discriminatory treatment under the program. The Ninth Circuit reversed and remanded the District Court for the Eastern District of California, after finding that the LCFS neither facially discriminates against out-of-state ethanol, nor violates the prohibition on extraterritorial regulations. The Ninth Circuit vacated the district court’s preliminary injunction and remanded the case to the lower court to consider whether the LCFS ethanol provisions “discriminate in purpose or in practical effect.” For more information, see a VNF update here: http://www.vnf.com/1875. Environmental Group Seeks Rehearing in Coal Methane Case. On June 27, WildEarth Guardians petitioned the D.C. Circuit for Rehearing en banc, asking the full panel of the Court to rehear its petition, which asked the Court to require the EPA to undertake a rulemaking to regulate methane emissions from coal mines. WildEarth Guardians v. EPA, No. 13-1212. In May, a 3-member panel of the D.C. Circuit denied the environmentalists’ petition after finding that the agency has broad discretion to determine the “timing and priorities of its regulatory agenda.” For more information, see a VNF update here: http://www.vnf.com/2864. D.C. Circuit Rejects Challenges to FERC Market Rules for New England. On July 8, the D.C. Circuit issued a decision rejecting petitions for review of a series of the Federal Energy Regulatory Commission (FERC) orders aimed at curtailing market power in capacity markets administered by the Independent System Operator - New England (ISO-NE). New England Power Generators Association, Inc. v. FERC, No. 12-1060 (D.C. Cir. July 8, 2014). With offices in Washington, D.C. and Seattle, WA, Van Ness Feldman is recognized as a leading law and policy firm in the areas of traditional and renewable energy regulation and project development, climate change regulation and greenhouse gas emissions trading, environmental and natural resources regulation, and infrastructure development. Van Ness Feldman has been recognized nationally and regionally by Chambers USA, Chambers Global, and U.S. News / Best Lawyers for its Energy, Environment, Government Relations, Transportation, and Native American Law practices. The firm's Climate Change practice has received top recognition by Chambers USA and Chambers Global. The Climate, Energy, & Air Update is intended as a general summary of major policy developments that we judge to be of interest to a broad range of our clients and friends. We welcome your comments and suggestions. Coverage in, and selection of topics for, the Update is not intended to reflect the position or opinion of Van Ness Feldman or any of its clients on any issue. This document has been prepared by Van Ness Feldman for informational purposes only and is not a legal opinion, does not provide legal advice for any purpose, and neither creates nor constitutes evidence of an attorney-client relationship.